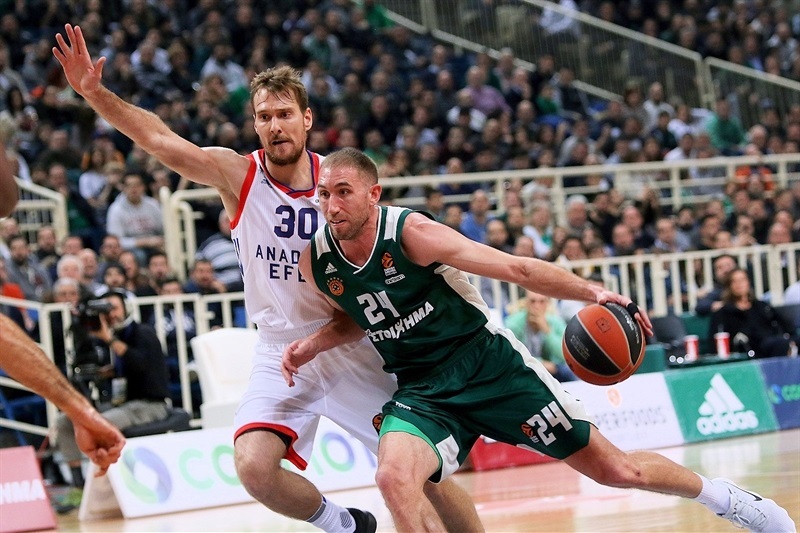 Panathinaikos Superfoods Athens remained undefeated at home this season with a 90-79 victory over Anadolu Efes Istanbul on Thursday at Olympic Sports Center Athens. 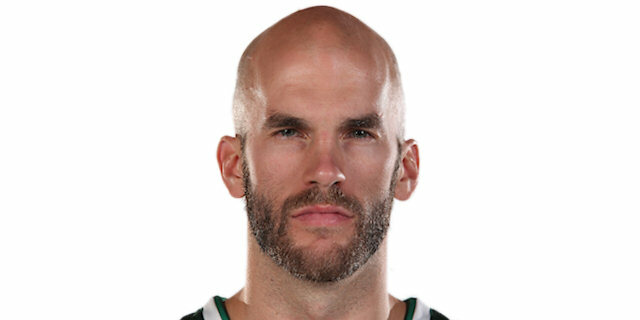 Nick Calathes returned after a three-game absence to produce 17 points, 9 assists and 3 steals as the Greens took a double-digit lead in the first quarter and held it for nearly all of the game. Nikos Pappas returned from injury as well to score 16 points off the bench and James Gist added 10. The hosts made 14 of 26 three-point shots (53.9%) with Marcus Denmon going 3 for 3. 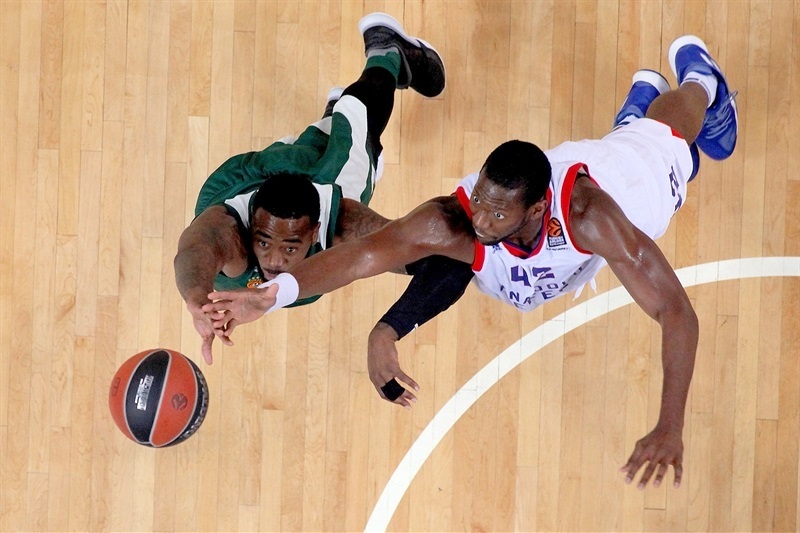 The win lifted Panathinaikos to 11-5, while sending Efes to 4-12. Josh Adams produced a personal-best 20 points to pace Efes, which was without leading scorer Errick McCollum. Brock Motum added 14 points, Krunoslav Simon scored 13 and Bryant Dunston posted 12 points and 8 rebounds. 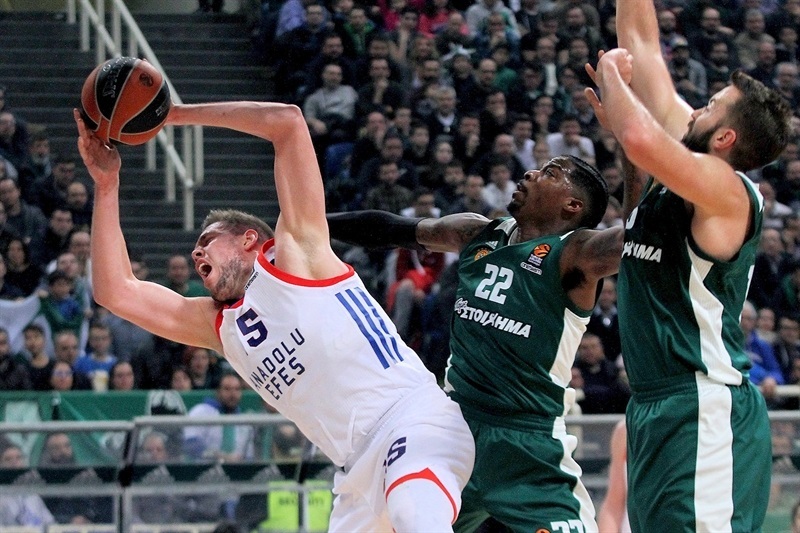 Efes outrebounded Panathinaikos 20-37, but was plagued by poor free throw shooting (11 of 19; 57.9%) and 14 turnovers. The Greens started slowly by missing their first 4 shots, but then scored on five consecutive possessions to take an 11-4 lead on a Calathes triple. 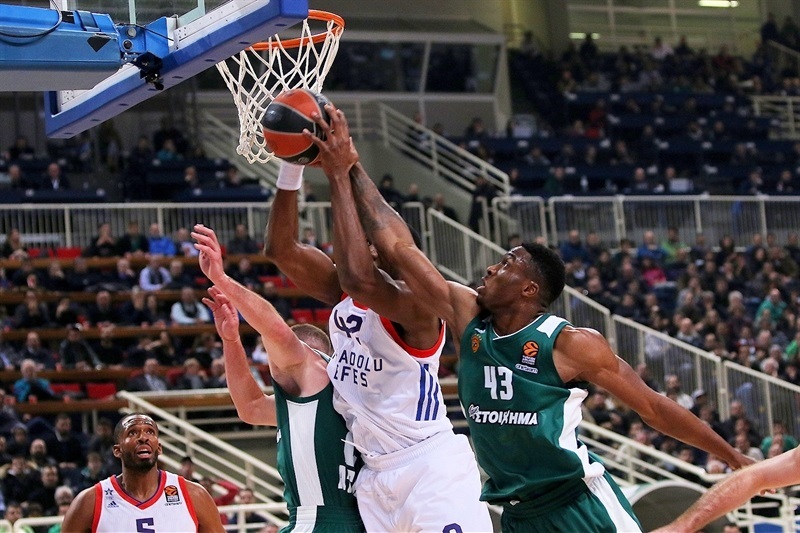 After the TV timeout, Efes drew within 2 on a three by Adams, but Panathinaikos went on a 10-0 tear with baskets coming twice through tip-ins from Gist and Thanasis Antetokounmpo and then on a Calathes steal and layup to lead 21-9. Vladimir Stimac came off the bench to score on his first touch as the visitors drew within 23-12 after 10 minutes. 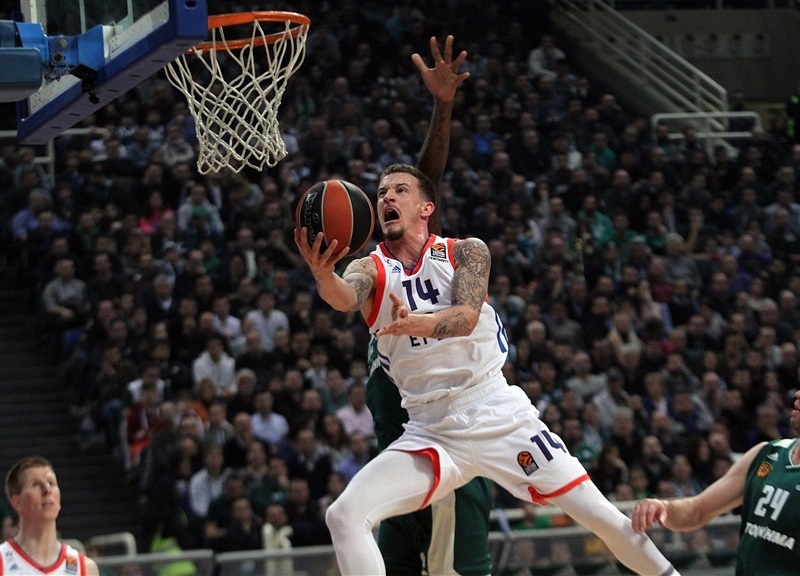 Efes tried to claw its way back through a pair of Simon floaters and another by Motum. Adams blew through the Panathinaikos defense for a layup that made it 29-22. Pappas scored 5 points to reestablish a double-digit lead and Lukas Lekavicius nailed a three for a 39-25 advantage. Derrick Brown got Efes within 10, but a pair of Marcus Denmon triples – the second on the halftime buzzer – left the hosts ahead 47-33 at the break. Adams and Calathes traded shots early in the second half, but the hosts kept rolling when the visitors cooled off. 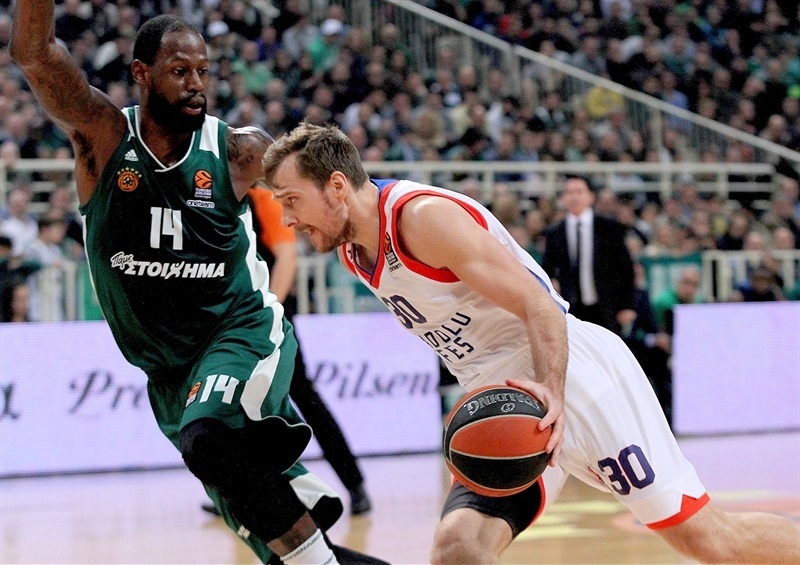 Triples by Denmon and Calathes boosted the margin to 60-45 midway through the third quarter. Singleton stretched the margin to 17 as the Greens remained in total control. Brown and Dunston could only keep pace with the home team, but the Greens kept rocketing in threes. Matt Lojeski’s strike from downtown made it 70-51. A Birkan Batuk three and Motum layup got Efes within 70-56 by the end of the third quarter. 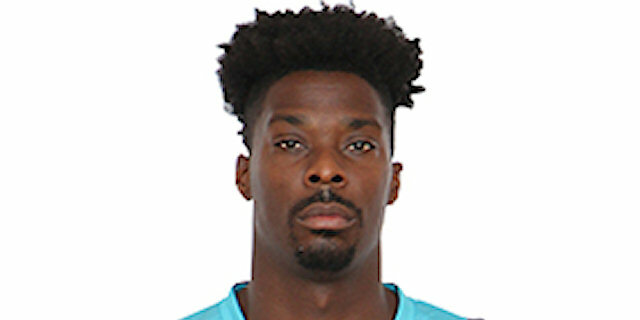 Kenny Gabriel became the sixth Panathinaikos player to connect from downtown, but soon the hosts cooled off and Adams got Efes within 80-68. 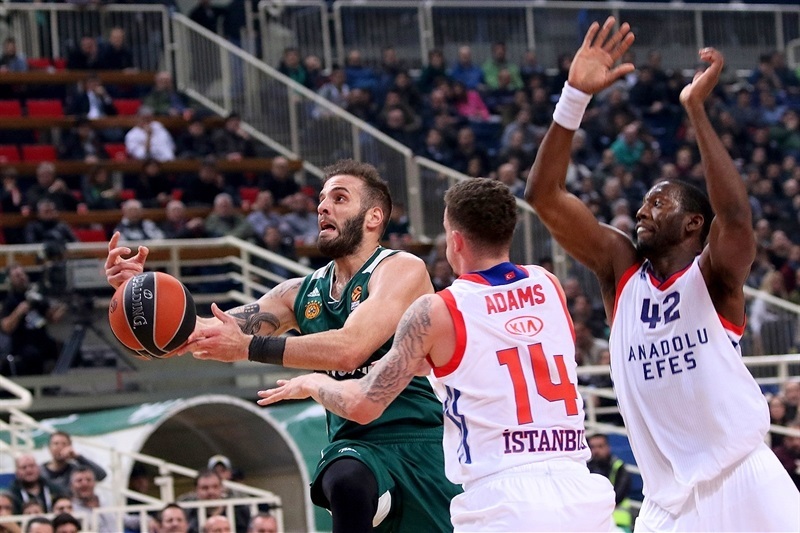 However Pappas’s next three kept the score comfortably in Panathinaikos’s favor and Gist put an exclamation point on the win with a slam in the closing seconds. "I’m not very happy about our defense today. We made a normal defense. We can play better. I think we made a lot of mistakes tonight. Today was a game that we won because we played very well on offense. We drove well into the paint, after that we found a lot of open shots. This is why we had this advantage, because we passed the ball very well. So I think tonight we played better on offense than on defense. Nick [Calathes] is our leader on the court. He helps on defense and offense. He played very well today. I am happy for him. 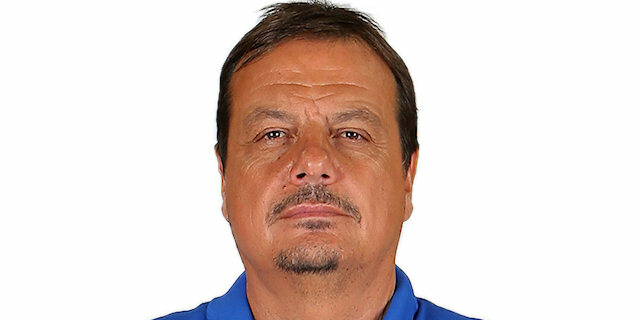 I am happy for Nikos [Pappas] who made a very big effort to join the team, so altogether we are stronger." 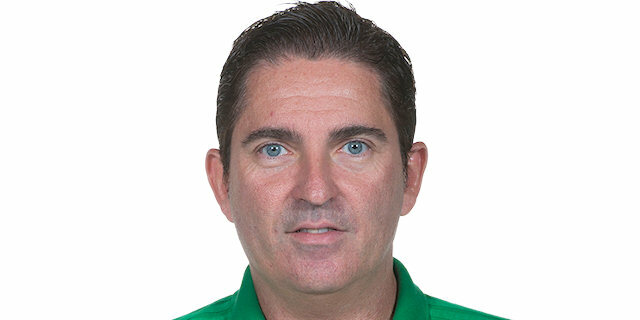 "I think that in the beginning of the game, especially in the first quarter, we made a lot of mistakes on offense, 4-5 turnovers, and we gave Panathinaikos very easy points with just one pass off turnovers. This 11-point difference that we had from the first quarter was the story of the game. And the game finished with the same difference, 11 points, because we stayed in the game. 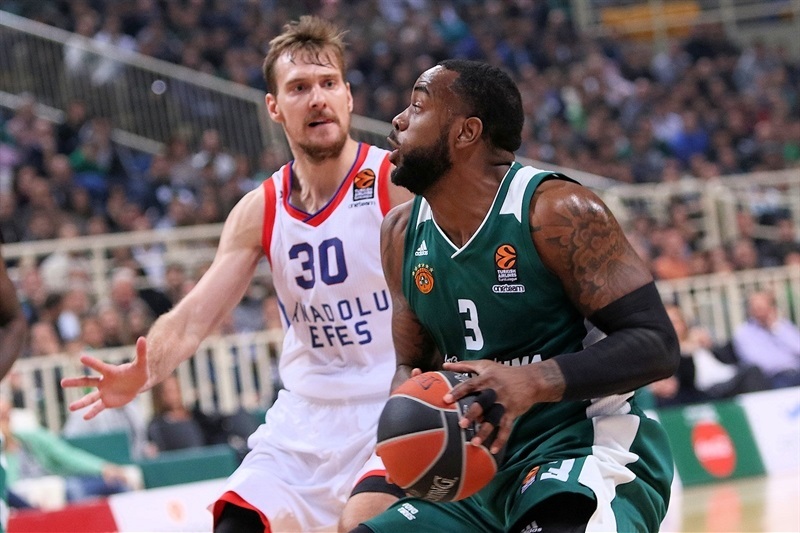 We dominated the boards and also we made more baskets in the paint than Panathinaikos, but they shot very well on three-pointers, especially Calathes and Pappas. !4 three-point shots in 26 attempts is a very good percentage. We tried to come back, many times we were close to coming back, but we made turnovers and we lost the game." "Today was a tough game, but we shared the ball really great on offense. In the first two quarters we played, we did a great job on defense and we were able to get some easy points. 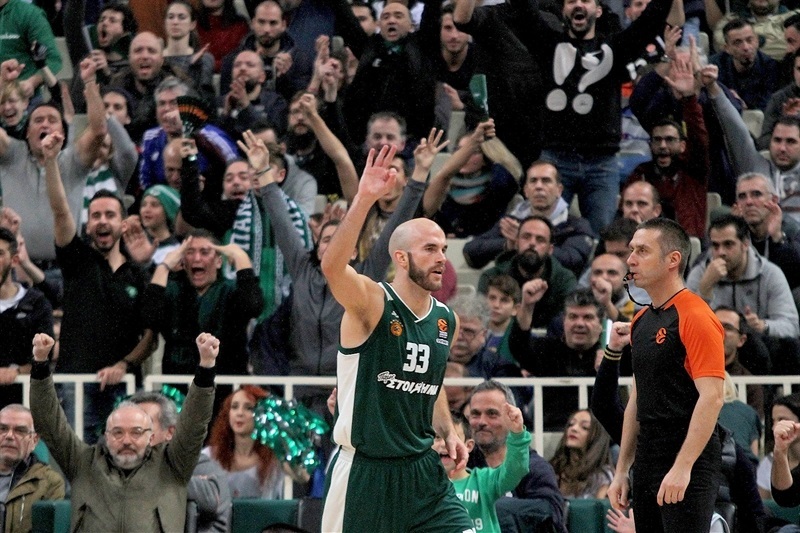 We are happy to have Nick [Calathes] back. He played a big role in us winning today, helping to share the ball and get guys the ball. I think we are in good shape right now and hopefully we can keep the ball rolling." "It was a good win for us. They are a tough team. They have a little rhythm going for them. For us, we just wanted to protect our home court and I think everyone played well tonight. It was a team effort. It feels good to be back with these guys. These guys are my brothers and just playing out there and being with them, I’m glad to be back."